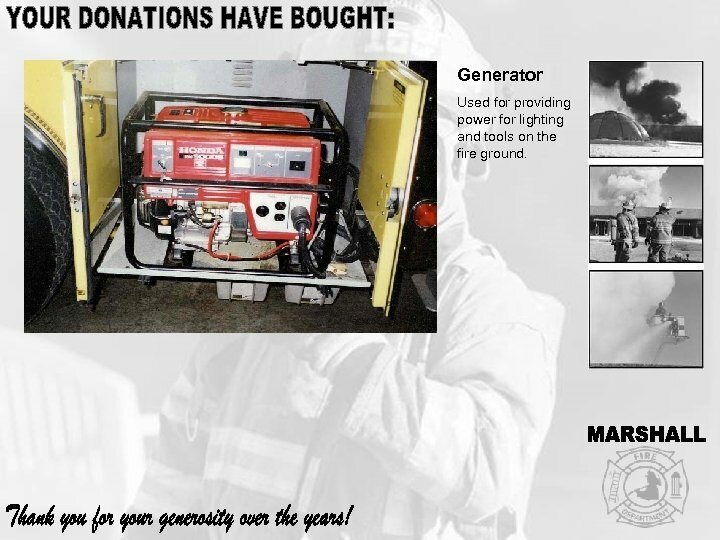 Generator Used for providing power for lighting and tools on the fire ground. 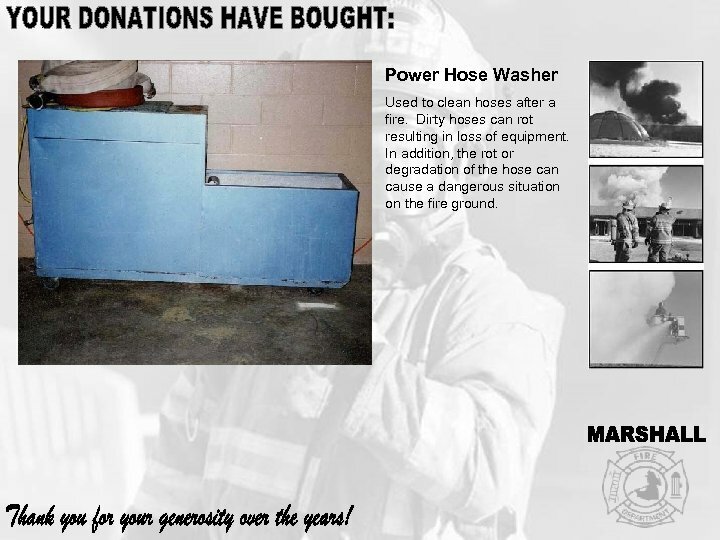 Power Hose Washer Used to clean hoses after a fire. Dirty hoses can rot resulting in loss of equipment. 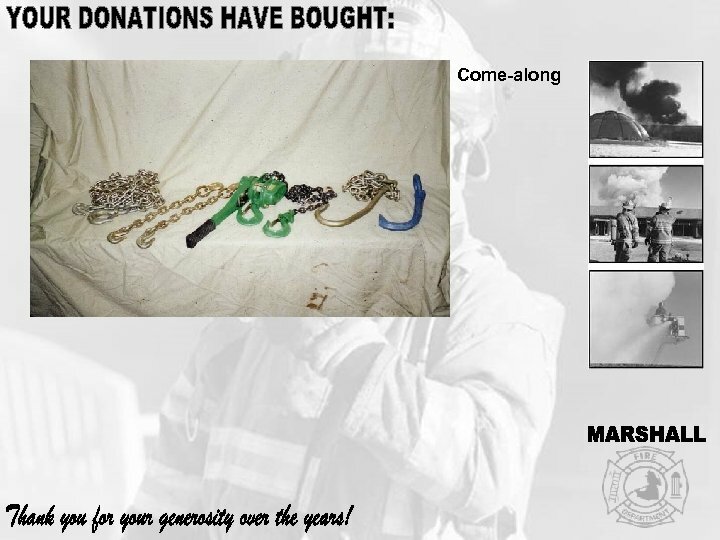 In addition, the rot or degradation of the hose can cause a dangerous situation on the fire ground. 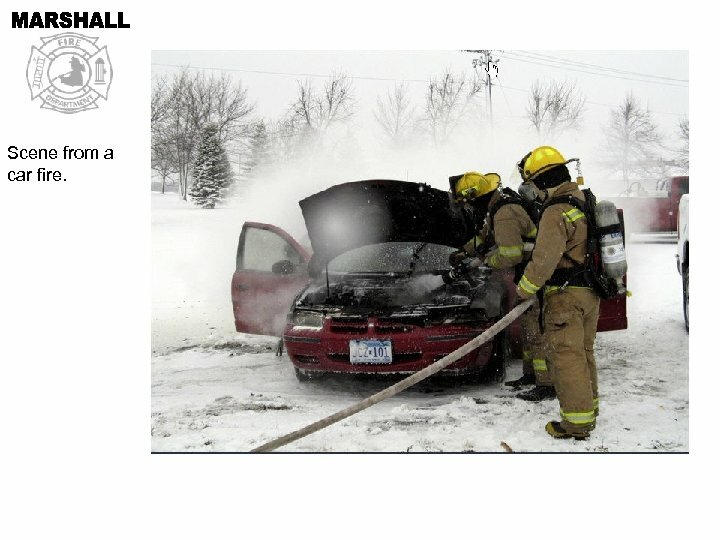 Scene from a car fire. 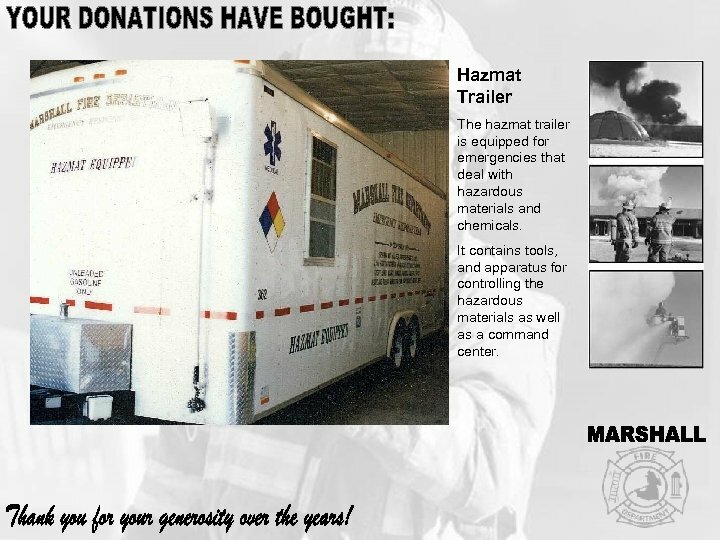 Hazmat Trailer The hazmat trailer is equipped for emergencies that deal with hazardous materials and chemicals. 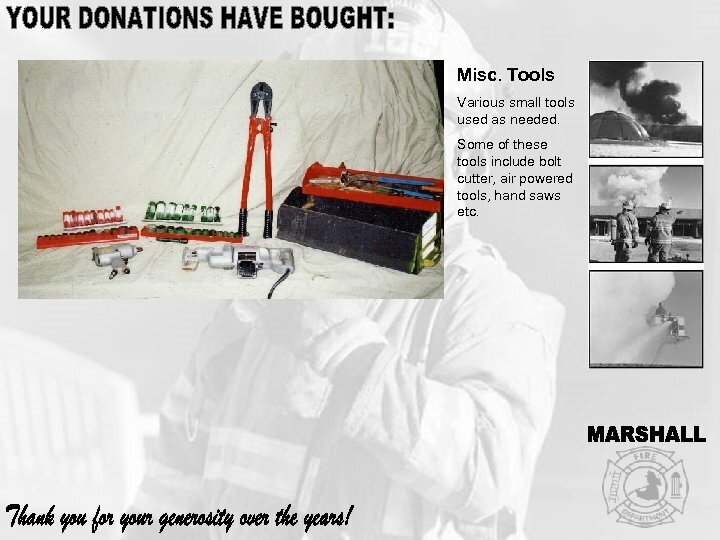 It contains tools, and apparatus for controlling the hazardous materials as well as a command center. 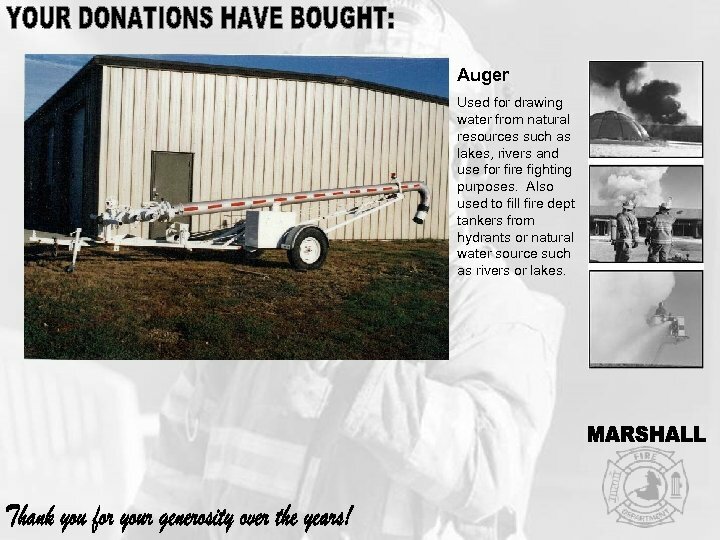 Auger Used for drawing water from natural resources such as lakes, rivers and use for fire fighting purposes. 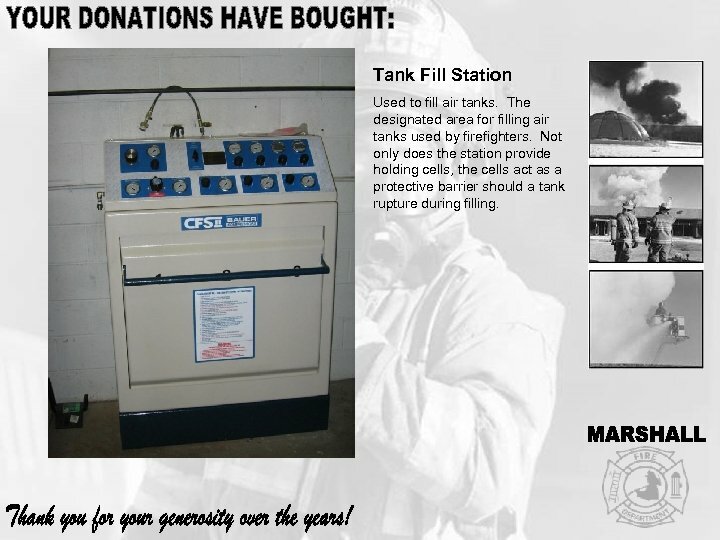 Also used to fill fire dept tankers from hydrants or natural water source such as rivers or lakes. Air Bags These high pressure bags are used to lift heavy objects. The primary purpose of these airbags is to use to principal of pushing rather than pulling to lift something. Scene from a mock accident. 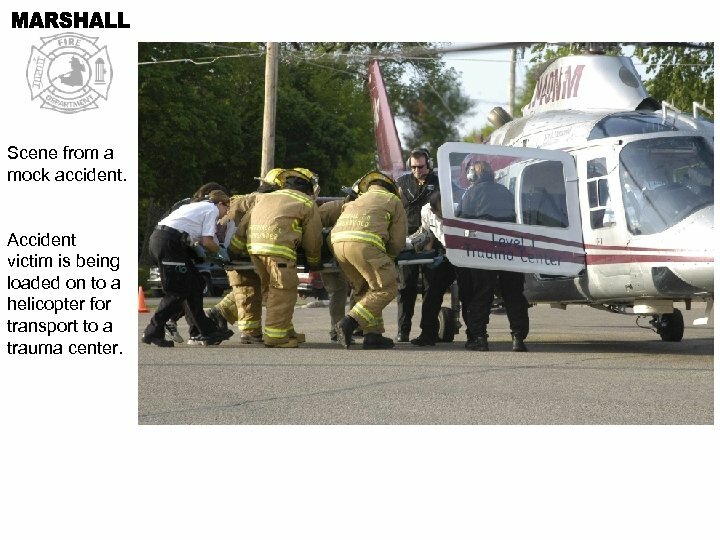 Accident victim is being loaded on to a helicopter for transport to a trauma center. 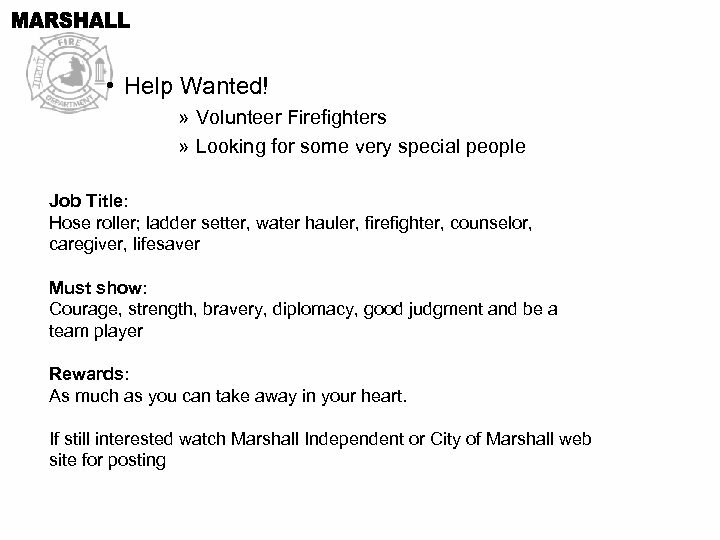 • Help Wanted: Marshall Fire Department will be accepting applications for new fire fighters. 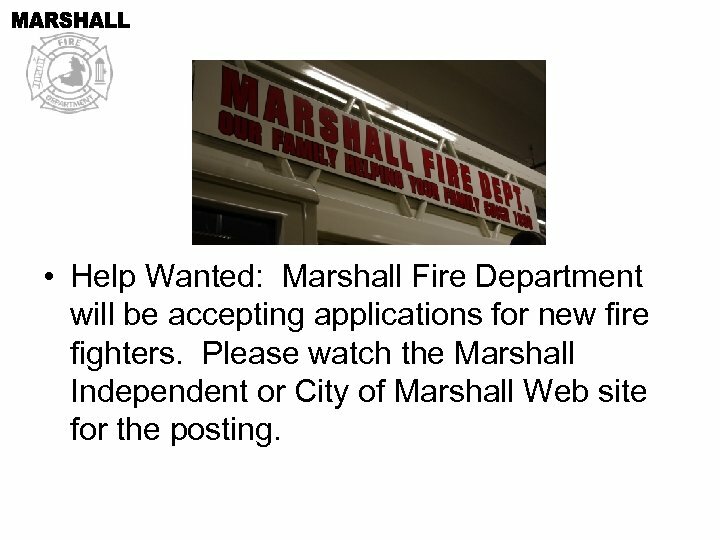 Please watch the Marshall Independent or City of Marshall Web site for the posting. 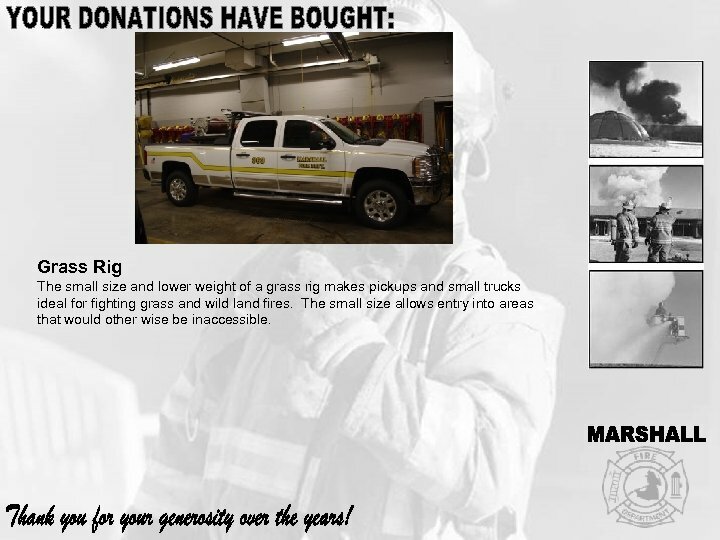 Grass Rig The small size and lower weight of a grass rig makes pickups and small trucks ideal for fighting grass and wild land fires. The small size allows entry into areas that would other wise be inaccessible. Cutting Tools Used for various cutting purposes. 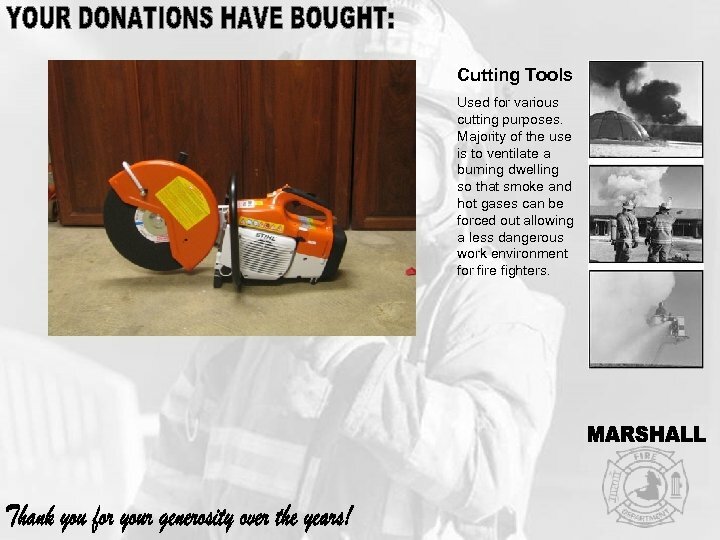 Majority of the use is to ventilate a burning dwelling so that smoke and hot gases can be forced out allowing a less dangerous work environment for fire fighters. 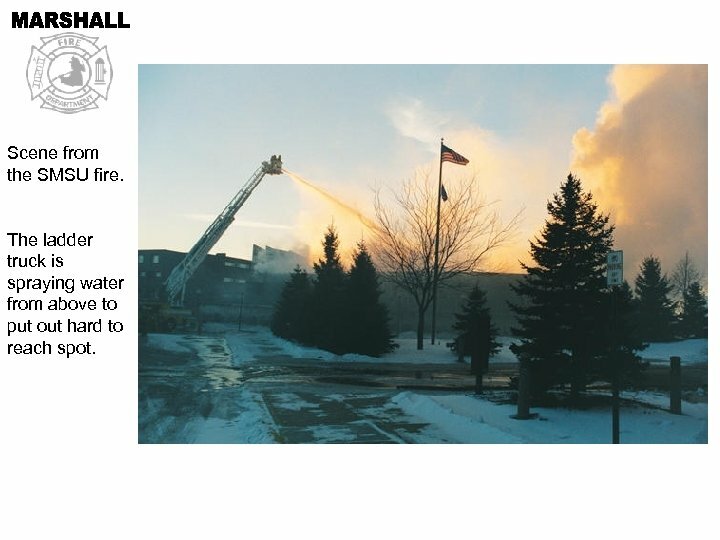 Scene from the SMSU fire. The ladder truck is spraying water from above to put out hard to reach spot. 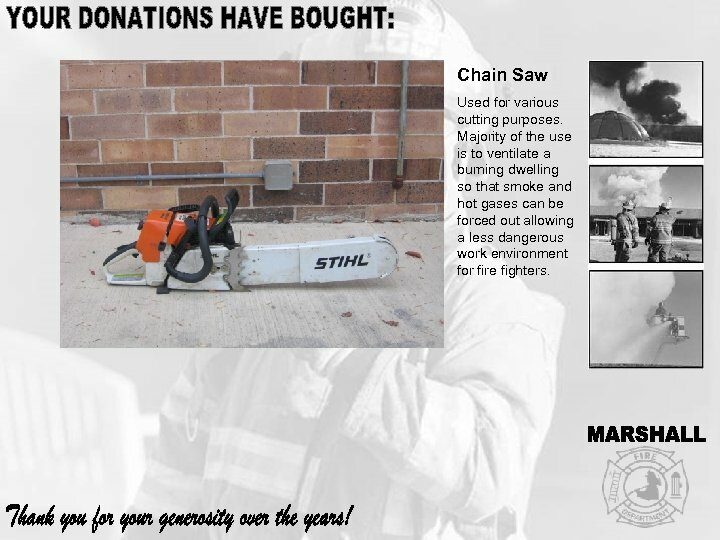 Chain Saw Used for various cutting purposes. 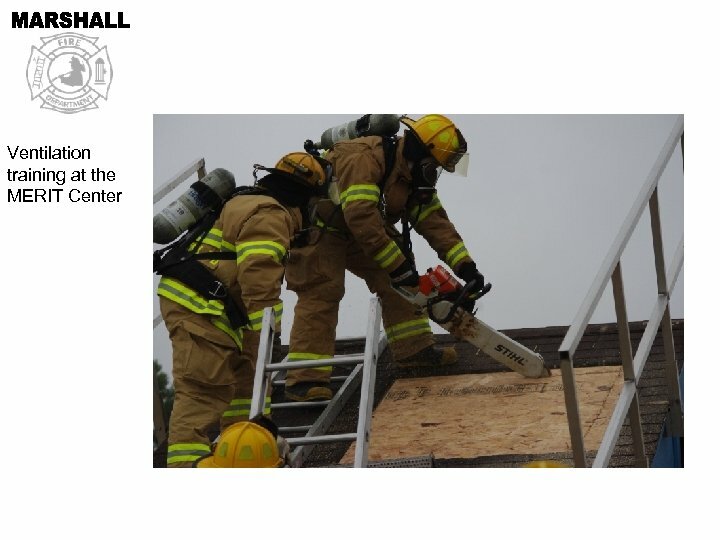 Majority of the use is to ventilate a burning dwelling so that smoke and hot gases can be forced out allowing a less dangerous work environment for fire fighters. Scene from a wildland fire in Camden State Park. 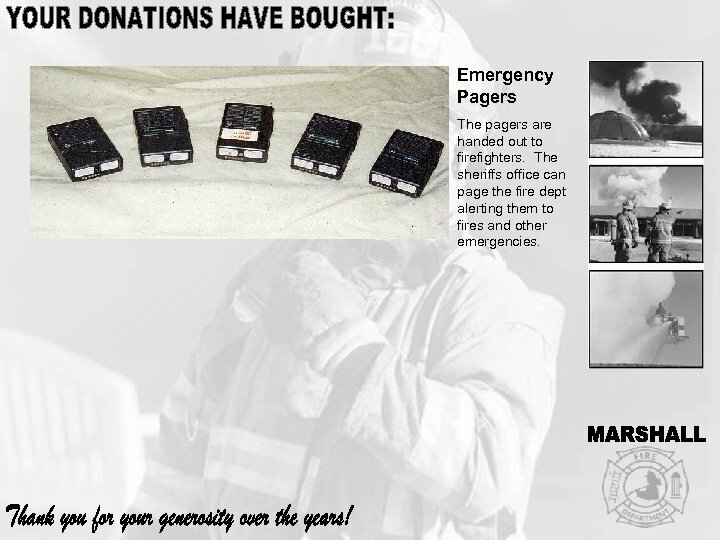 Emergency Pagers The pagers are handed out to firefighters. 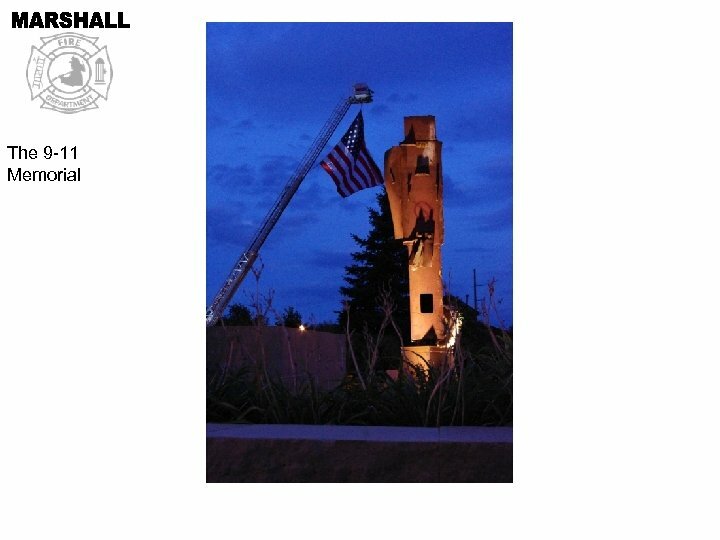 The sheriffs office can page the fire dept alerting them to fires and other emergencies. 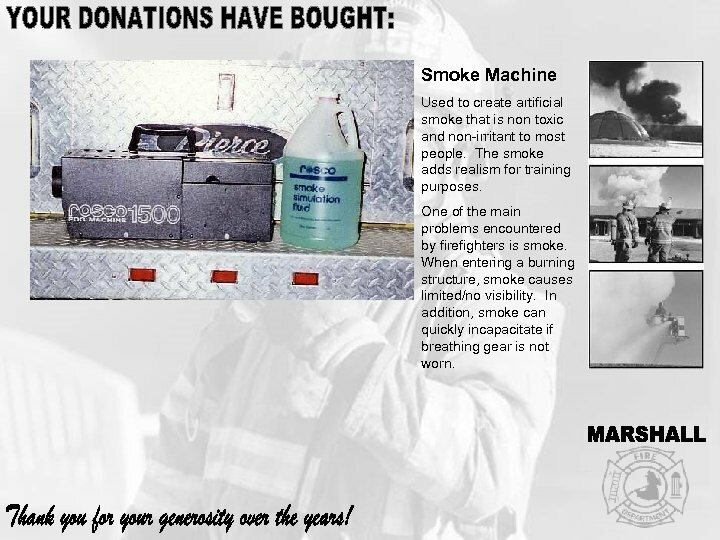 Smoke Machine Used to create artificial smoke that is non toxic and non-irritant to most people. 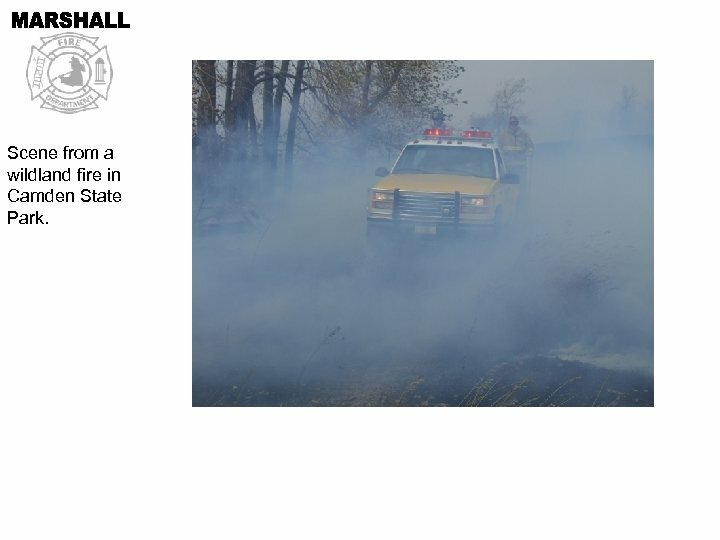 The smoke adds realism for training purposes. 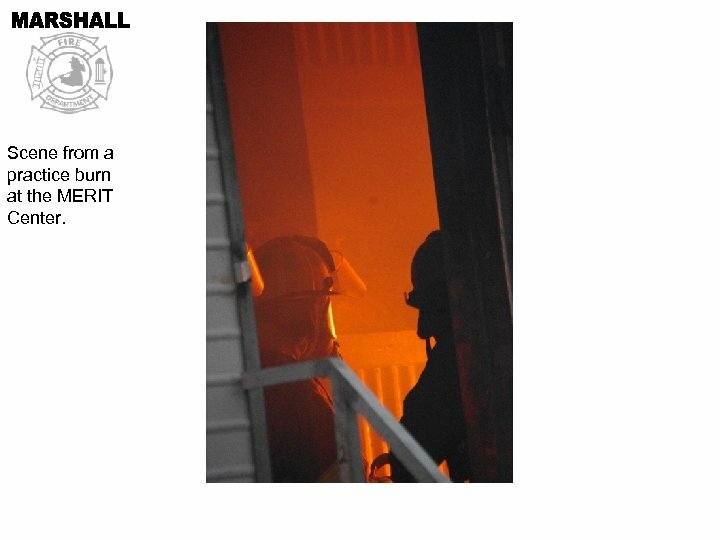 One of the main problems encountered by firefighters is smoke. 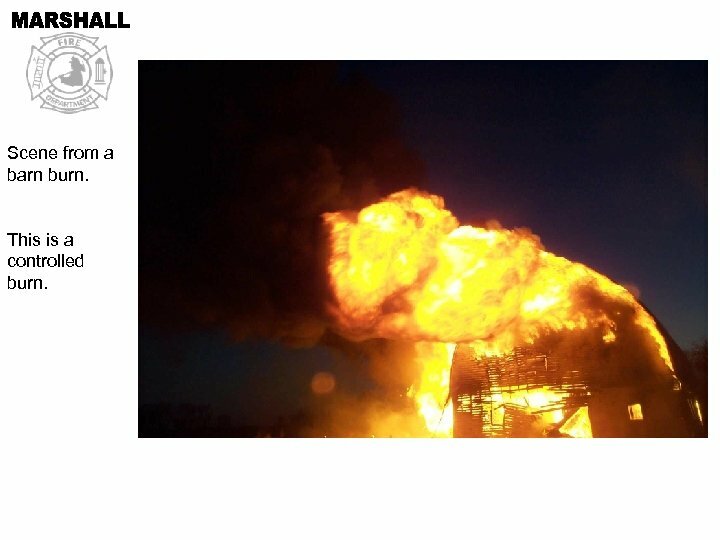 When entering a burning structure, smoke causes limited/no visibility. 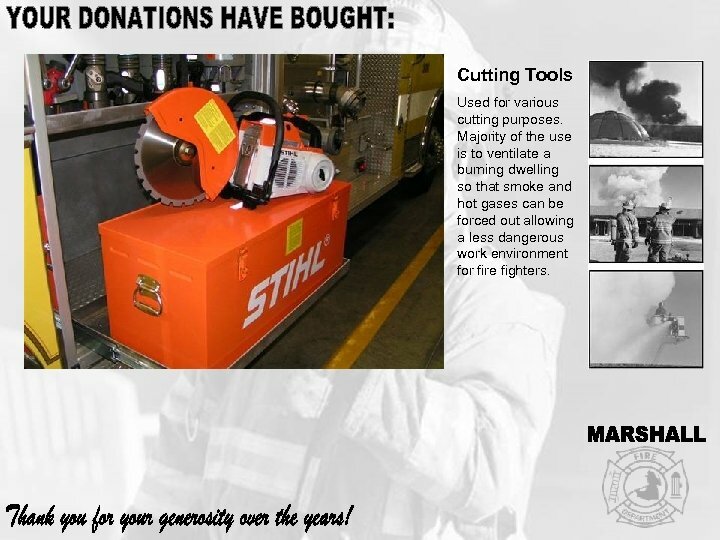 In addition, smoke can quickly incapacitate if breathing gear is not worn. 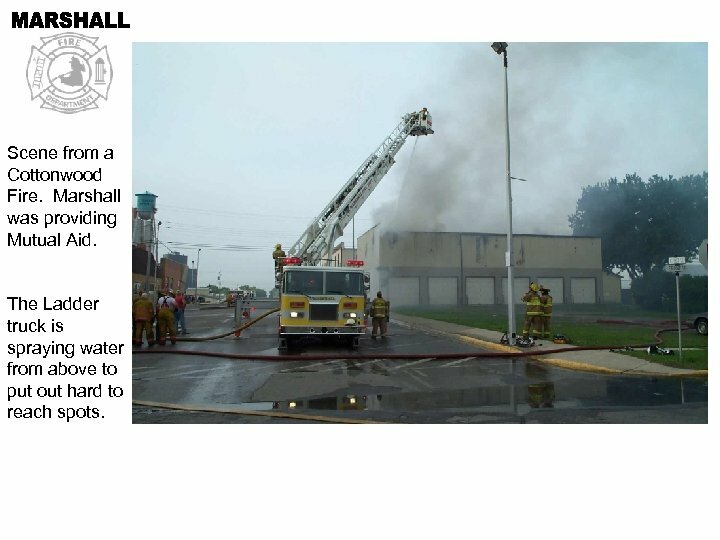 Scene from SMSU fire. 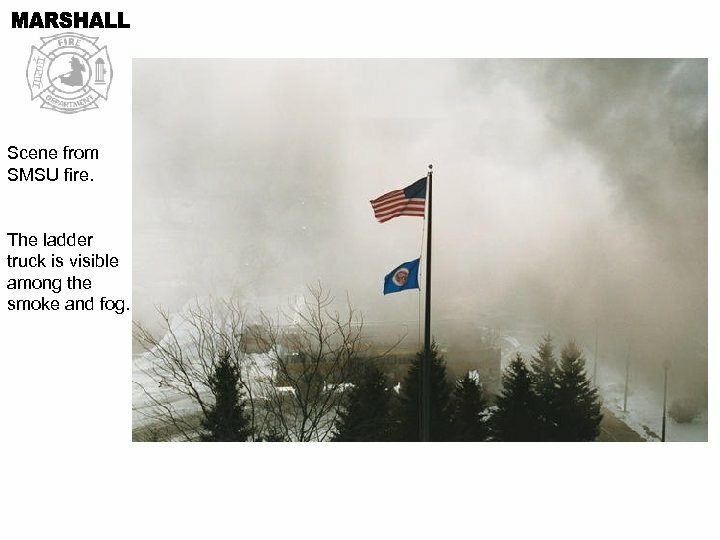 The ladder truck is visible among the smoke and fog. 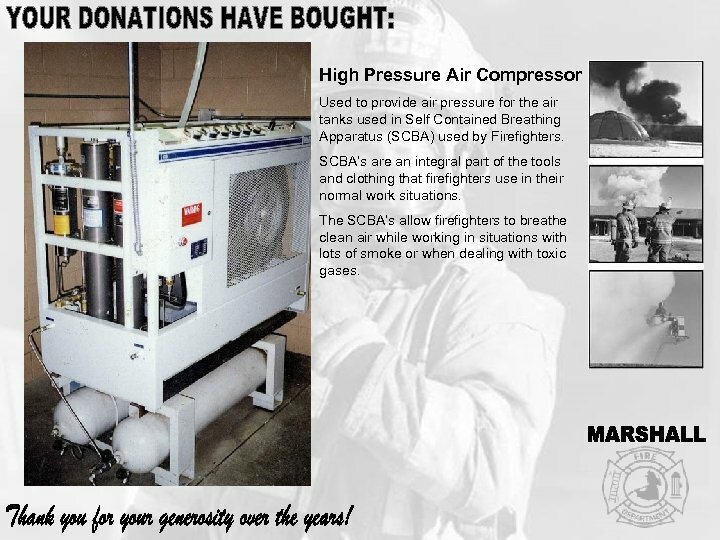 High Pressure Air Compressor Used to provide air pressure for the air tanks used in Self Contained Breathing Apparatus (SCBA) used by Firefighters. 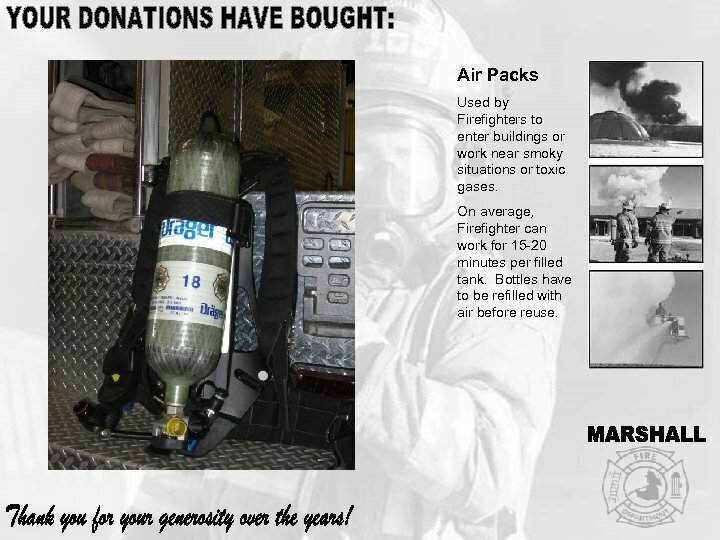 SCBA’s are an integral part of the tools and clothing that firefighters use in their normal work situations. 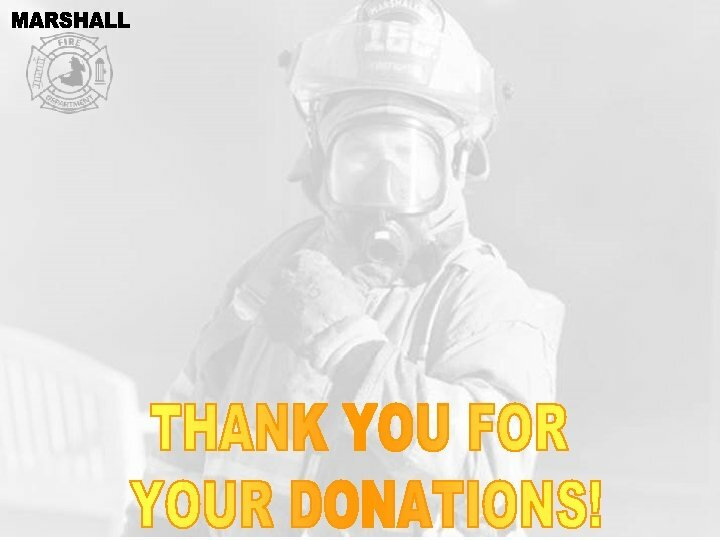 The SCBA’s allow firefighters to breathe clean air while working in situations with lots of smoke or when dealing with toxic gases. Tank Fill Station Used to fill air tanks. 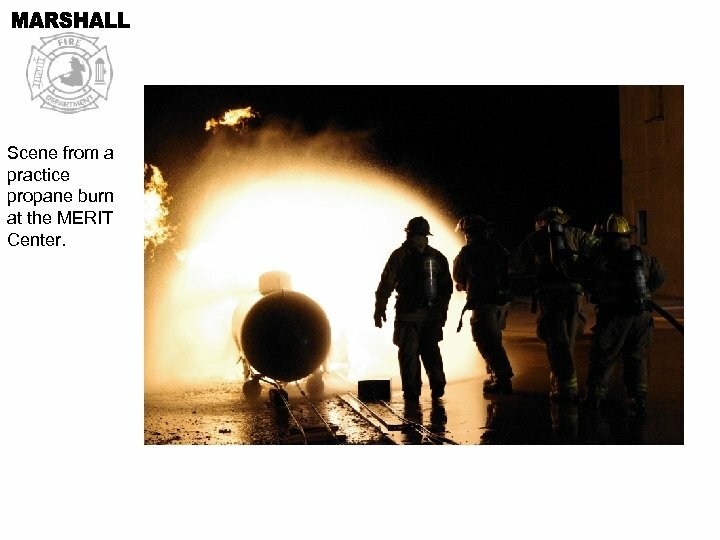 The designated area for filling air tanks used by firefighters. Not only does the station provide holding cells, the cells act as a protective barrier should a tank rupture during filling. 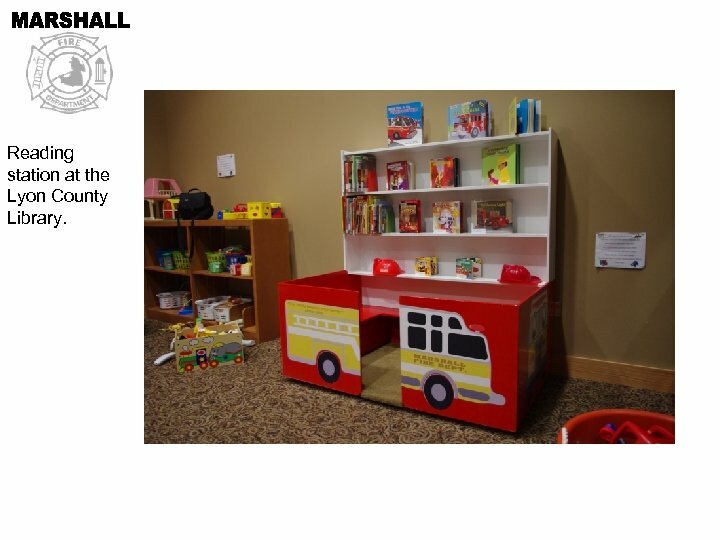 Reading station at the Lyon County Library. 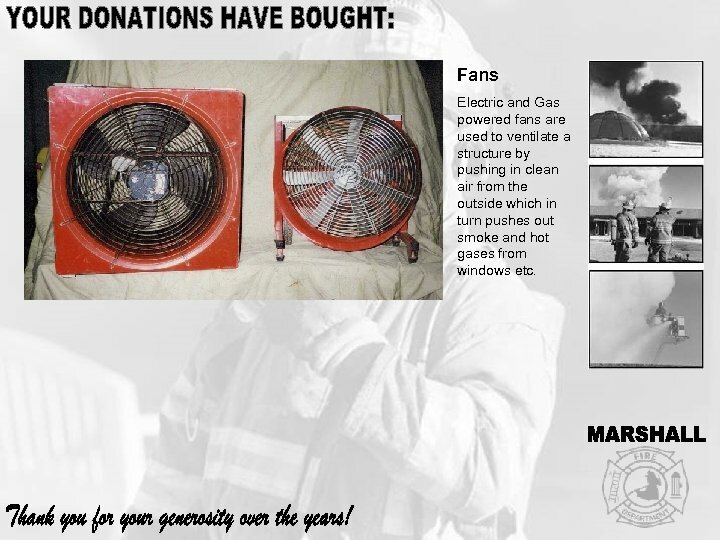 Fans Electric and Gas powered fans are used to ventilate a structure by pushing in clean air from the outside which in turn pushes out smoke and hot gases from windows etc. Scene from a Cottonwood Fire. 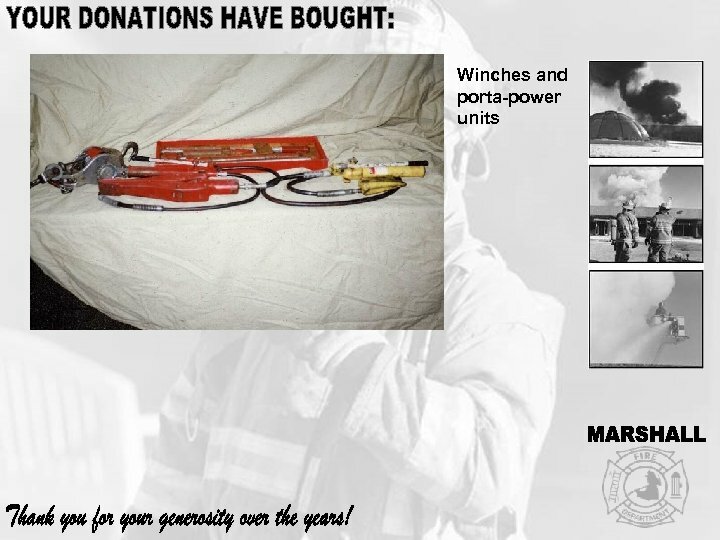 Marshall was providing Mutual Aid. The Ladder truck is spraying water from above to put out hard to reach spots. 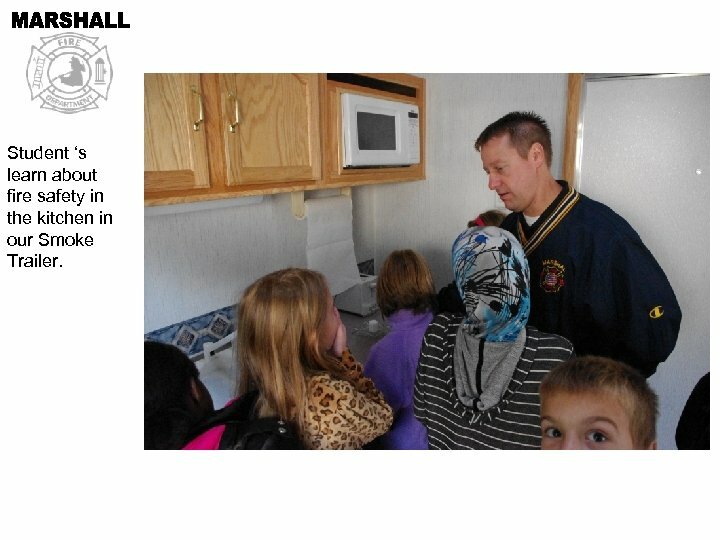 Student ‘s learn about fire safety in the kitchen in our Smoke Trailer. 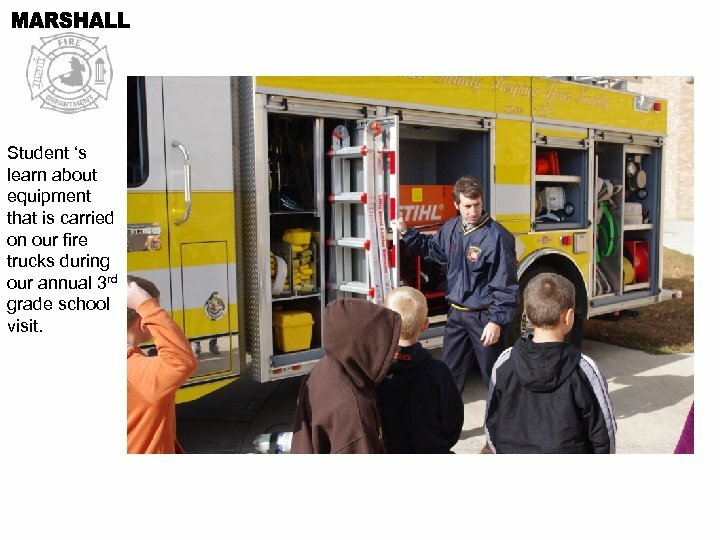 Student ‘s learn about equipment that is carried on our fire trucks during our annual 3 rd grade school visit. Misc. Tools Various small tools used as needed. Some of these tools include bolt cutter, air powered tools, hand saws etc. 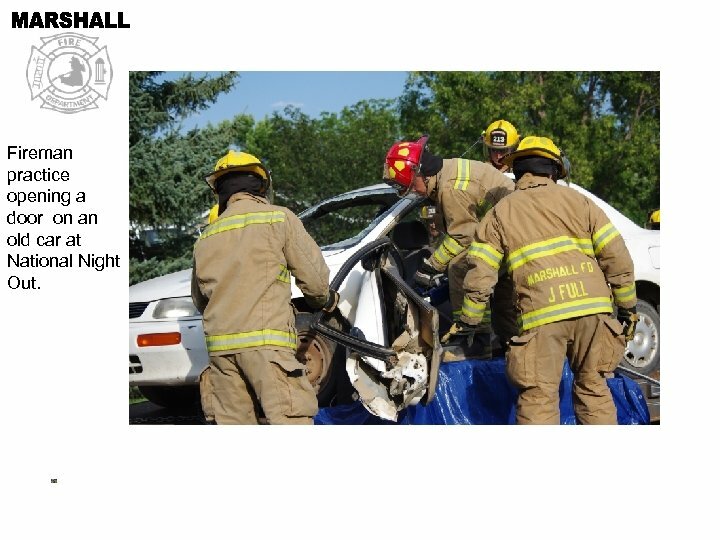 Fireman practice opening a door on an old car at National Night Out. 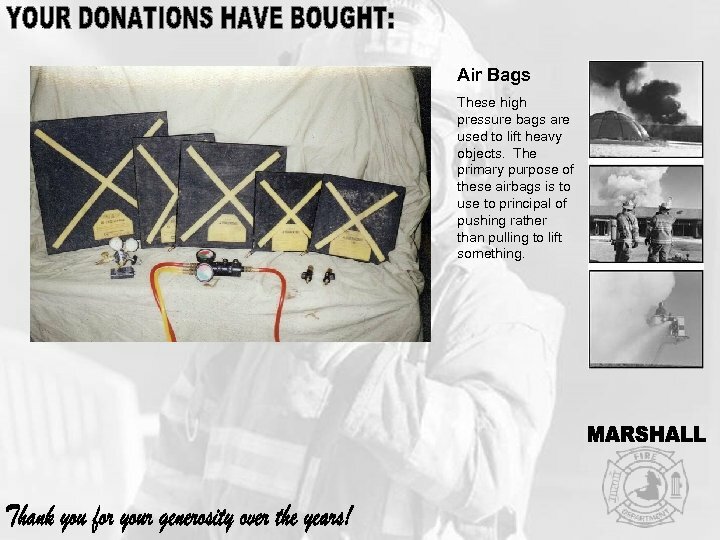 Air Packs Used by Firefighters to enter buildings or work near smoky situations or toxic gases. 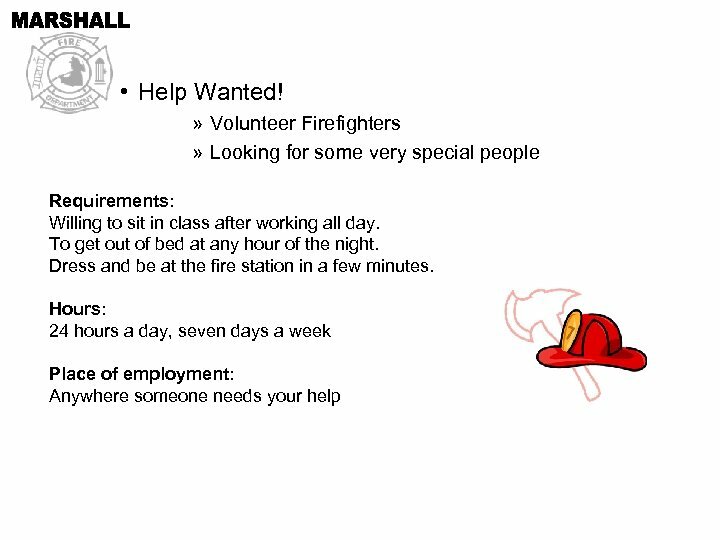 On average, Firefighter can work for 15 -20 minutes per filled tank. Bottles have to be refilled with air before reuse. 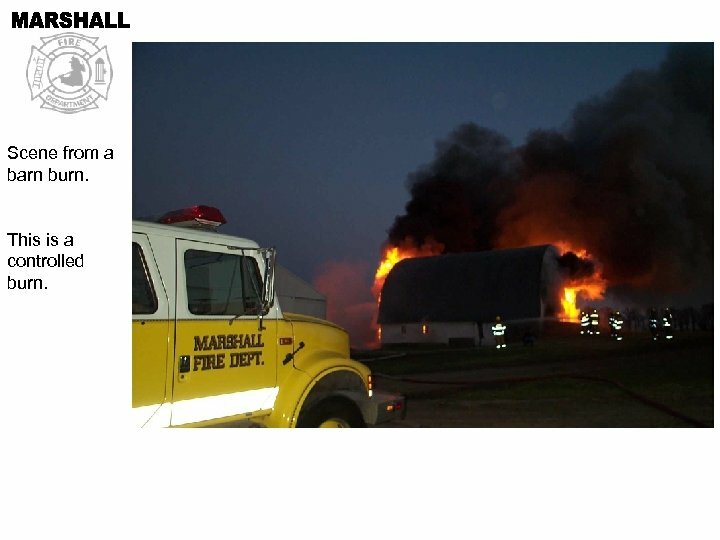 Scene from a barn burn. This is a controlled burn. 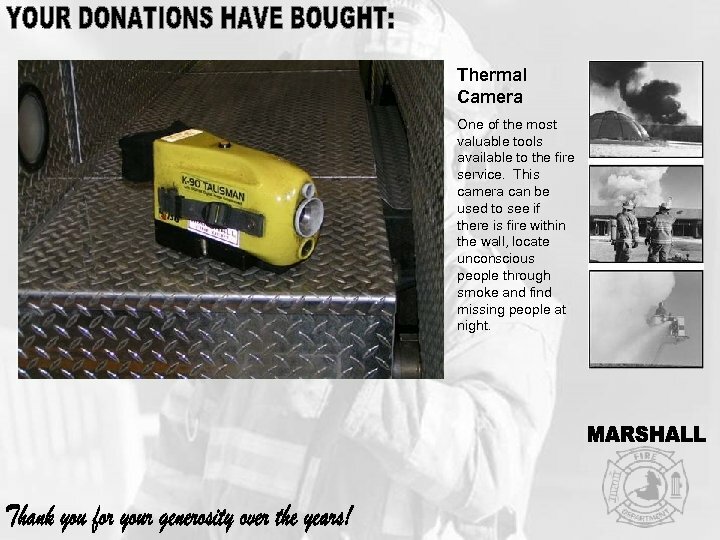 Thermal Camera One of the most valuable tools available to the fire service. This camera can be used to see if there is fire within the wall, locate unconscious people through smoke and find missing people at night. Scene from a practice burn at the MERIT Center. 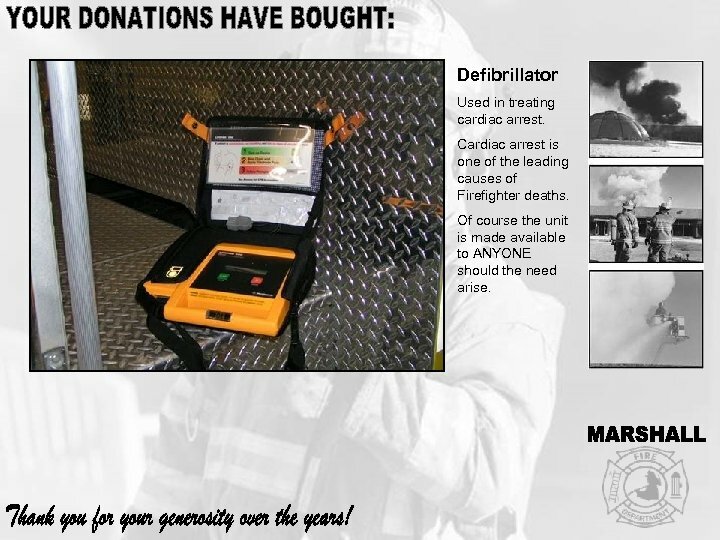 Defibrillator Used in treating cardiac arrest. 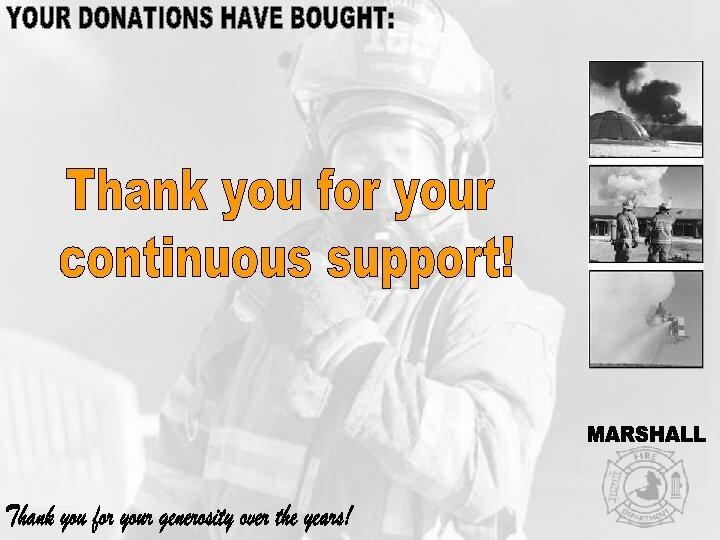 Cardiac arrest is one of the leading causes of Firefighter deaths. Of course the unit is made available to ANYONE should the need arise. Scene from a practice propane burn at the MERIT Center. 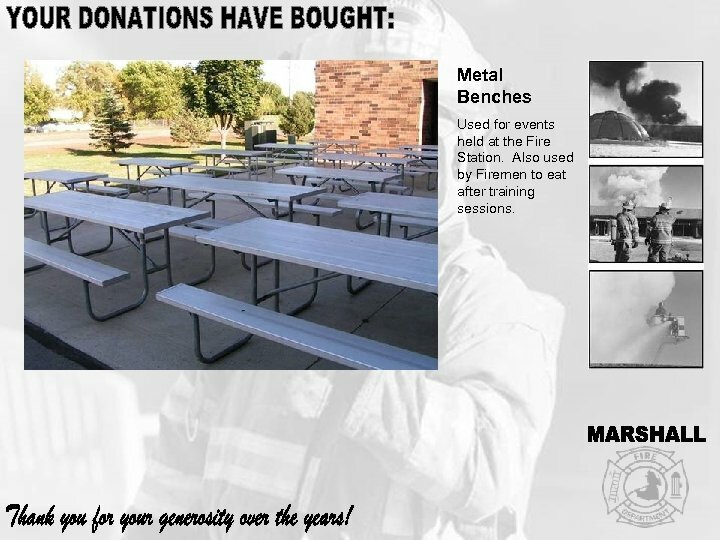 Metal Benches Used for events held at the Fire Station. Also used by Firemen to eat after training sessions. 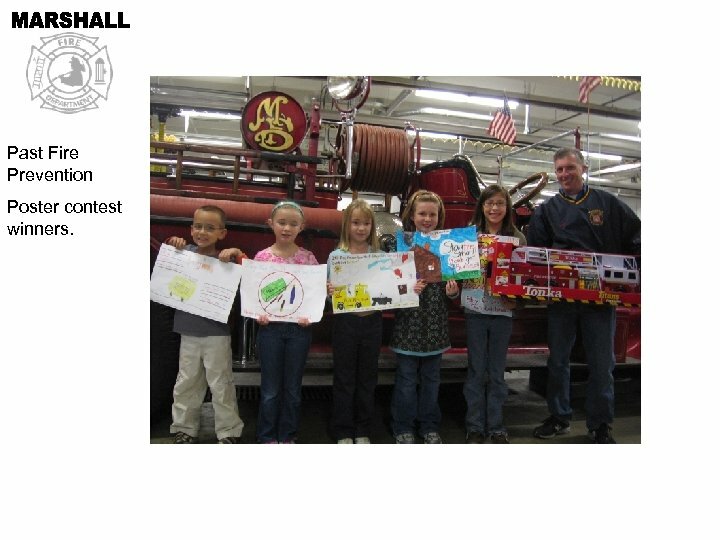 Past Fire Prevention Poster contest winners. 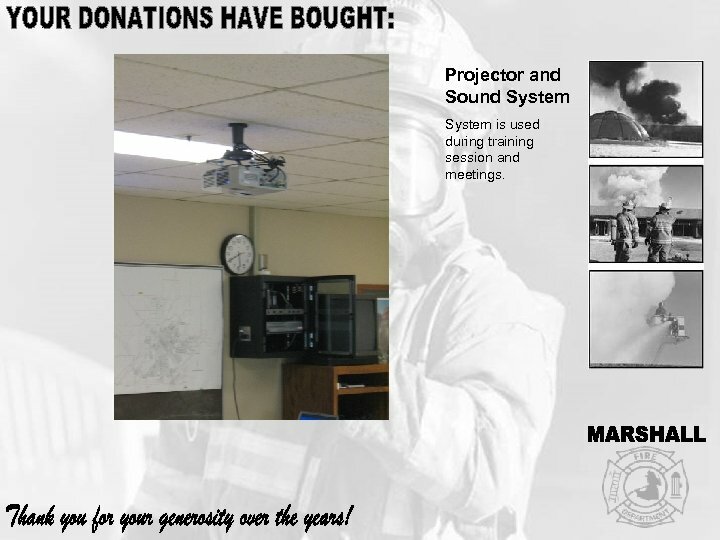 Projector and Sound System is used during training session and meetings. 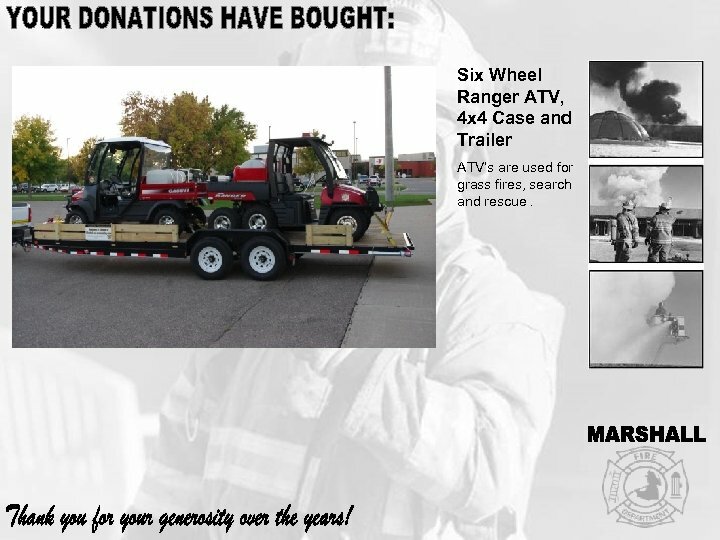 Six Wheel Ranger ATV, 4 x 4 Case and Trailer ATV’s are used for grass fires, search and rescue. 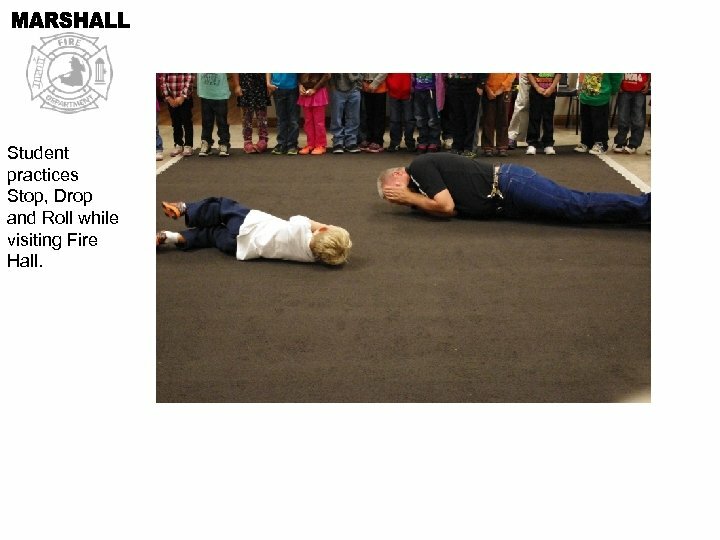 Student practices Stop, Drop and Roll while visiting Fire Hall. 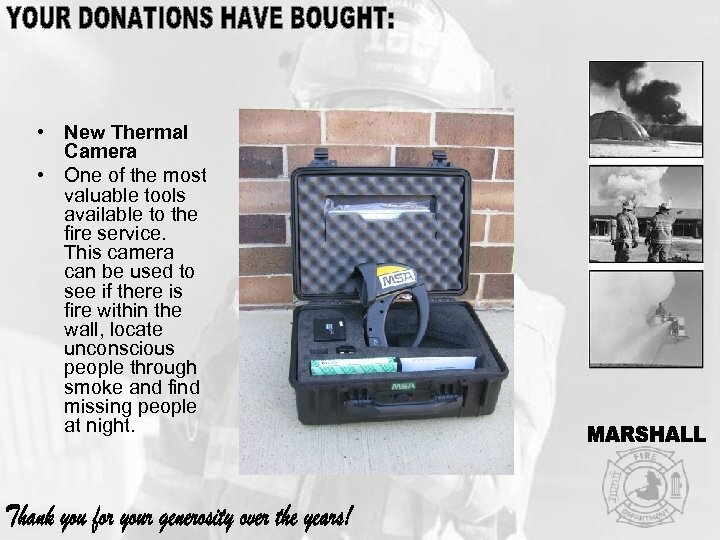 • New Thermal Camera • One of the most valuable tools available to the fire service. This camera can be used to see if there is fire within the wall, locate unconscious people through smoke and find missing people at night. 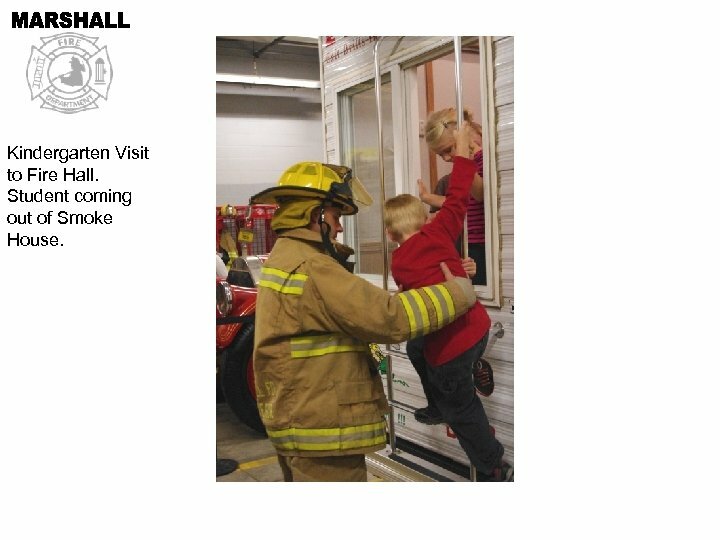 Kindergarten Visit to Fire Hall. Student coming out of Smoke House. 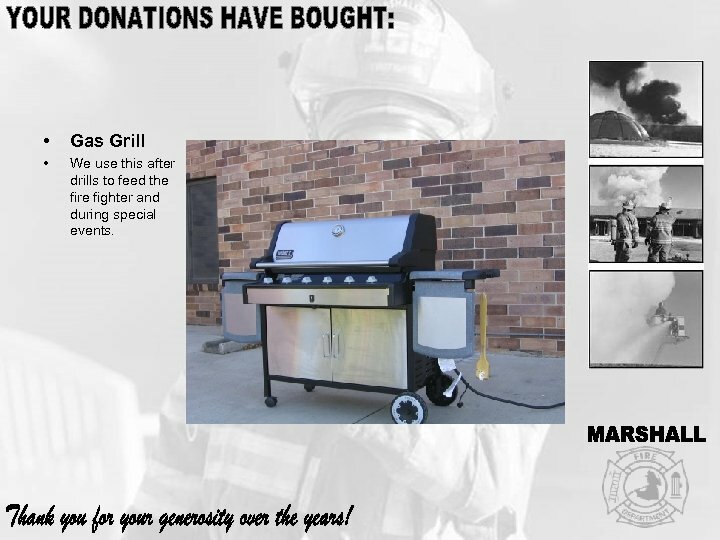 • Gas Grill • We use this after drills to feed the fire fighter and during special events. 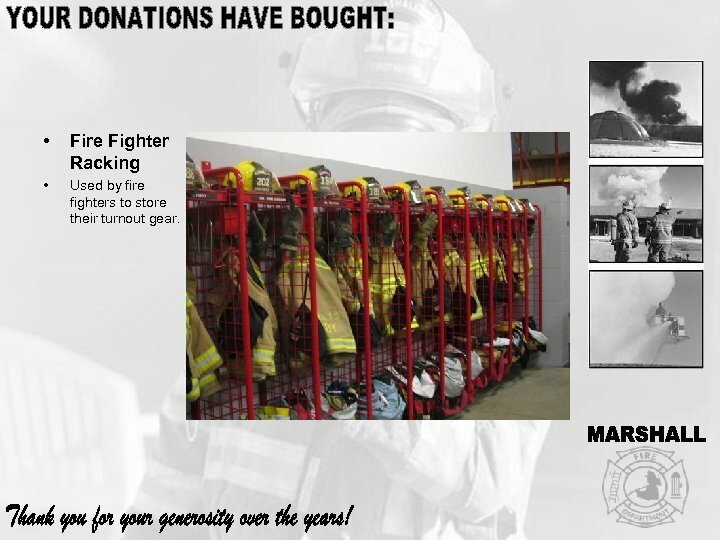 • Fire Fighter Racking • Used by fire fighters to store their turnout gear. 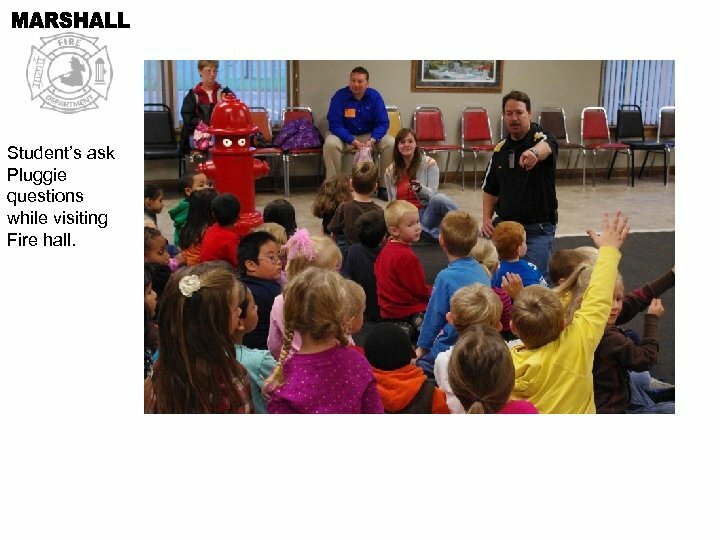 Student’s ask Pluggie questions while visiting Fire hall. 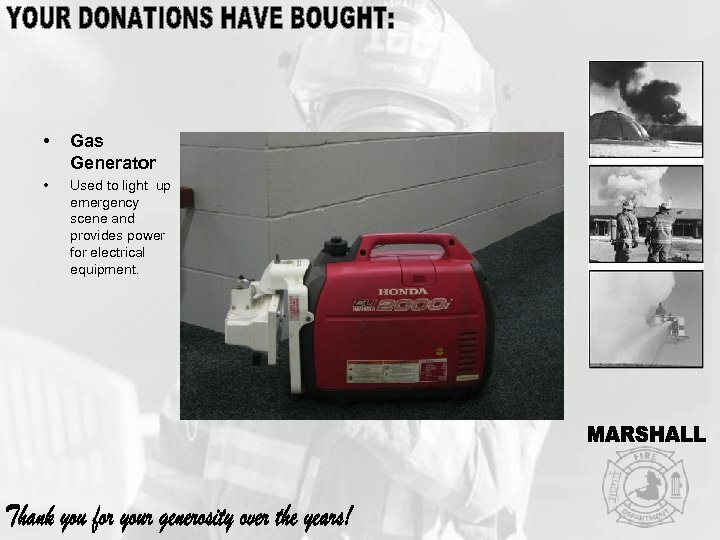 • Gas Generator • Used to light up emergency scene and provides power for electrical equipment. 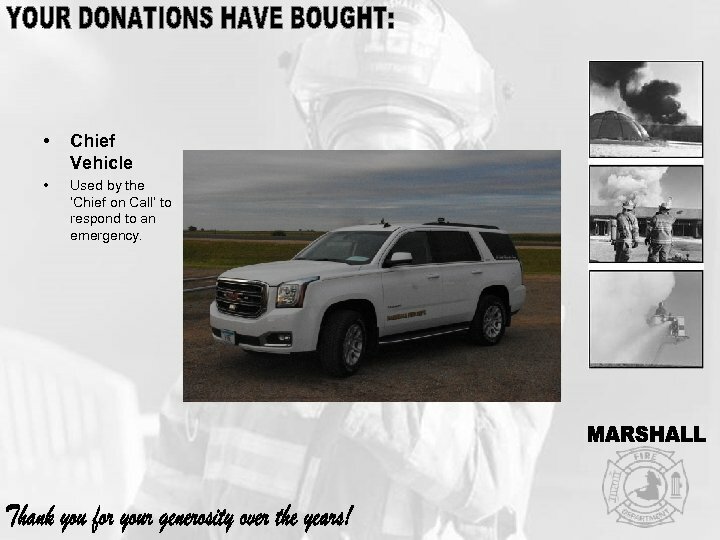 • Chief Vehicle • Used by the ‘Chief on Call’ to respond to an emergency.